Railpictures.ca - Dave Beach Photo: GP-7 #74 leads a phosphate train through the yard at Port Maitland on February 28, 1982. This would be a pretty routine broadside of a GP-7 without the TH&B lettered crossing sign. | Railpictures.ca – Canadian Railway Photography – photographie ferroviaire Canadienne. 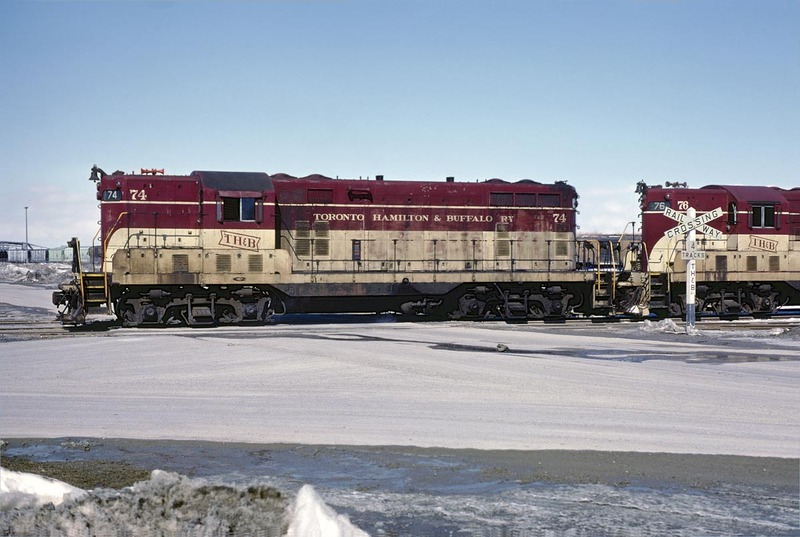 Caption: GP-7 #74 leads a phosphate train through the yard at Port Maitland on February 28, 1982. This would be a pretty routine broadside of a GP-7 without the TH&B lettered crossing sign. Nice! Been down there a few times but i’ve never seen a train there.